Are you an artist looking for places to perform at or display your art? 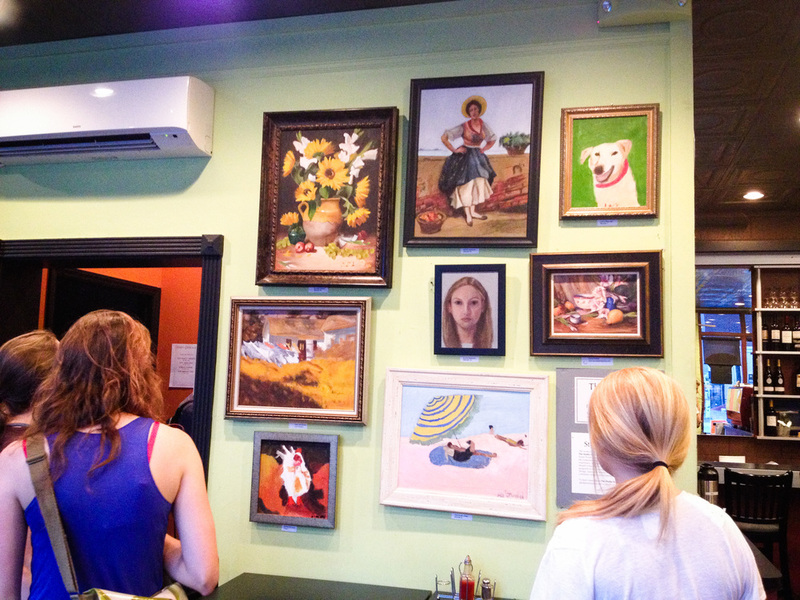 Is your venue, business, or event looking for dynamic, local art to display or experience? We want to make a match! Join us for an Artist & Venue Matchmaking event on Friday, February 21 from 6:30 pm to 8:30 pm at The ArtsCenter, 300-G East Main Street in Carrboro. Venues may include Chapel Hill and Carrboro businesses, restaurants, galleries, and special events. Artists may include those from the visual arts such as ceramics, drawing, painting, sculpture, design, crafts, and film making; as well as writers, dancers, and musicians. Artists from around the Triangle are welcome to attend. This event is free. Light refreshments will be served. Venues must RSVP to reserve a spot. Contact Meg McGurk at 919-967-9440 or meg@downtownchapelhill.com. Sponsored by 2nd Friday ArtWalk, Orange County Arts Commission, and The ArtsCenter. For more information visit www.2ndFridayArtWalk.com. The 2nd Friday ArtWalk takes place in Carrboro and Chapel Hill from 6:00 - 9:00 pm on the second Friday of every month. Now featuring 33 local venues, it offers a great opportunity to experience the creative arts scene in our community, explore venues and businesses throughout Chapel Hill and Carrboro, as well as socialize with other art lovers! Many of the venues have live music, food, activities, and other art related entertainment. The 2nd Friday ArtWalk is managed by the Chapel Hill Downtown Partnership.